Home » Technology News and Business Updates Of Pakistan » How to use Free Facebook with Ufone? Ufone Free Facebook Offer Lets You Surf Facebook Messenger, WikiHow, Wikipedia, Accuweather, Bing and Girl Effect absolutely Free. 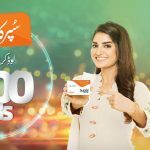 How to use Free Facebook with Ufone?.Ufone the leading cellular operator in Pakistan always comes with the new offers and services for its customers to fulfill their communication needs in affordable prices. This time Ufone brings the amazing offer for its customers and that too without any cost. Yes you heard the right with the Ufone Free Facebook the user can use the unlimited Facebook without any data charges. Furthermore, Ufone users can also surf the other information websites absolutely free under the Ufone free Facebook offer. Now you can use free facebook and some other websites including Facebook Messenger, WikiHow, Wikipedia, Accuweather, Bing and Girl Effect. 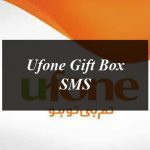 How to subscribe Ufone Free Facebook Offer? You can subscribe this offer upon selecting Free Facebook option by the user. No subscription charges for this offer by Ufone. This offer is valid for both Ufone Prepaid and Postpaid users who have independently subscribed to use Facebook browser and applications. For availing this offer you need to switch the Free Facebook option, if you switch to the option of paid version, default internet charges will apply. This is a limited time offer and is planned for use as is. The service is obtainable on Android app and browser and on iOS browser only. The service is not supported on Opera Mini and UC Browser. For more information you can visit the Ufone official Website. Ufone Free Facebook Offer Lets You Surf Facebook Messenger, WikiHow, Wikipedia, Accuweather, Bing and Girl Effect absolutely Free. How to use Free Facebook with Ufone?.